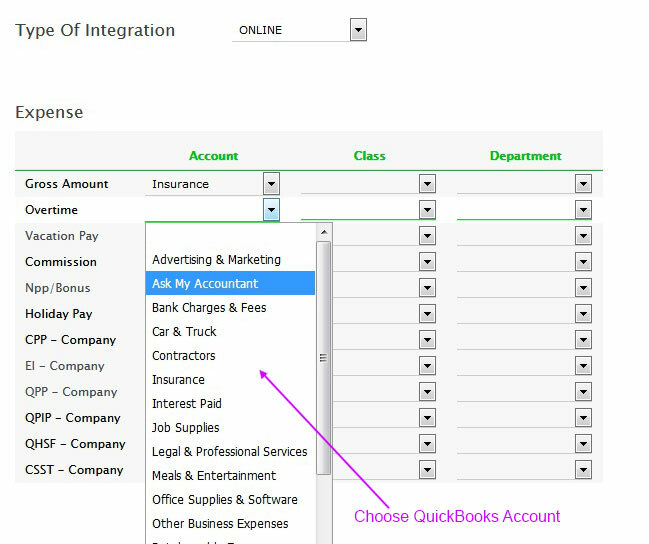 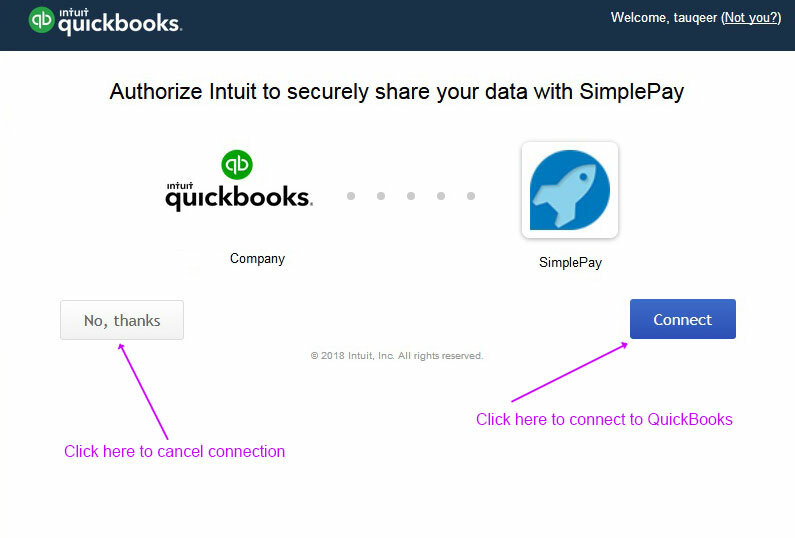 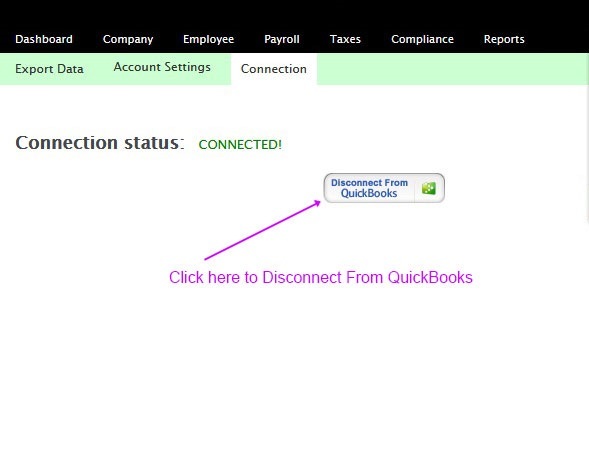 Quickbooks will ask to allow access to SimplePay. 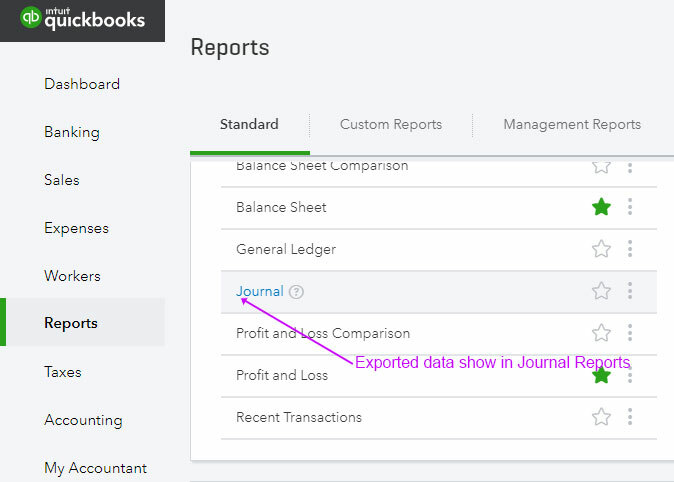 Load Export data page Add-Ons >> Quickbooks >> Export Data . 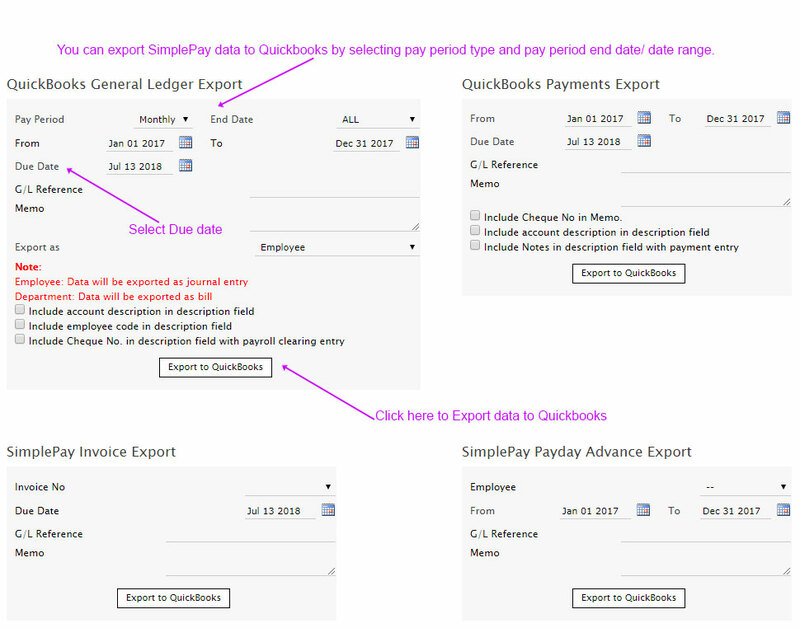 Click on Journal to view detailed transactions. 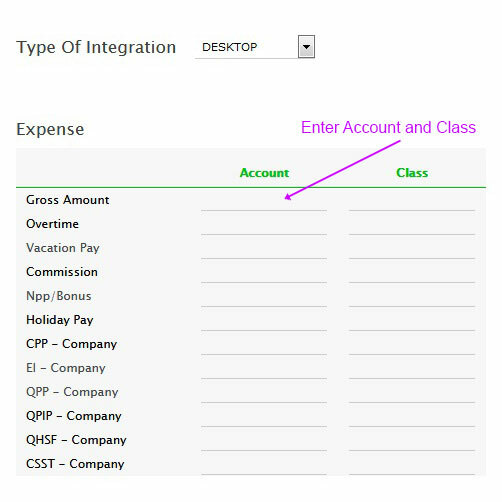 Click on Expenses to view bill transactions. 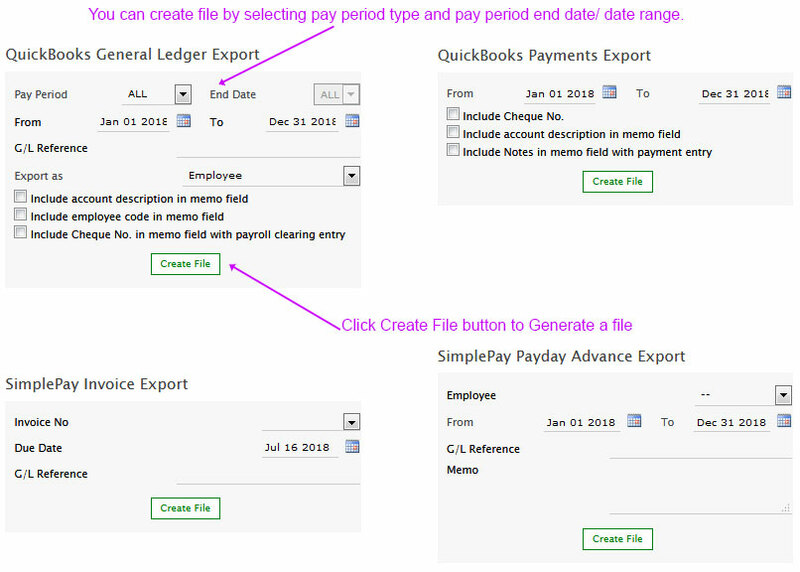 You can create file by selecting pay period type and pay period end date/ date range.